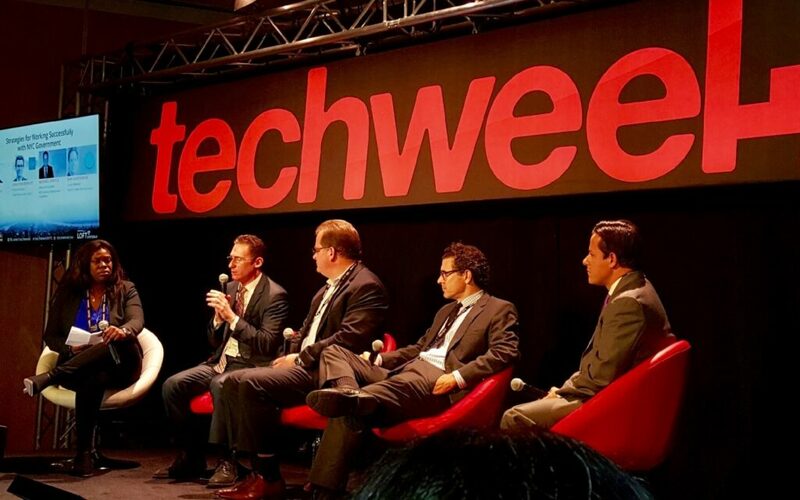 On Thursday, October 15, 2015, Capalino+Company’s Chief Operating Officer Travis Terry joined leaders in technology, government and business to discuss the overlap of technology and government on a panel at New York Techweek. The panel, entitled “Strategies for Working Successfully with Government,” focused on how tech companies can benefit from building relationships with the public sector. 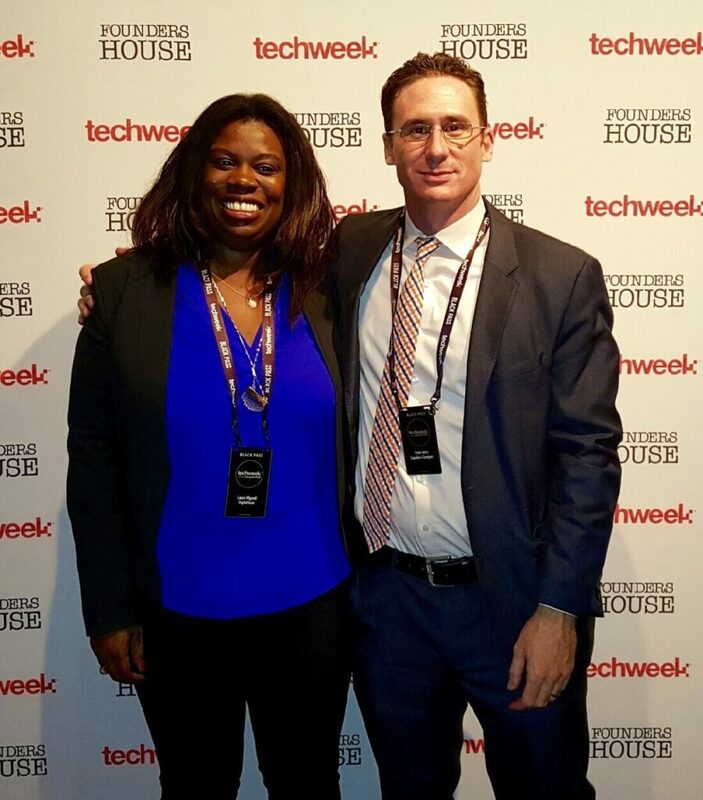 Leveraging Capalino+Company’s expertise in helping tech clients navigate the regulatory environment, Travis discussed how government can create opportunities, instead of challenges, for tech to succeed. Moderated by DigitalFlash Managing Partner and Co-Founder Laura Mignott, the panel featured Jonathan Bowles, Executive Director of the Center for Urban Future, Michael O’Boyle, Managing Director of IBM New York Public Sector and NYC Council Member Daniel Garodnick. Mignott led a discussion focused on three main areas: why, how and when to work with government. “It’s important to know what you want to achieve, how you want to achieve it, and who can make it happen,” said Travis Terry, summarizing the advice of the panel. Travis emphasized the importance of tech companies building relationships with government to better understand their needs, thus positioning themselves in a stronger position to take advantage of public sector opportunities. It is crucial to find allies that open doors and help navigate the complexity of a very complicated regulatory structure. Michael O’Boyle, Public Sector Manager of IBM, discussed how IBM has been awarded public sector contracts that have helped the company grow and shape the future of New York City. The major takeaway of the morning’s discussion was that tech companies, no matter if they are start-ups or established companies, cannot afford to ignore the regulatory environment. Through proactive engagement with government, tech companies can minimize their business risk and maximize their opportunities. “It shouldn’t be so hard to work with government,” said Council Member Garodnick as he discussed strategies to improve the relationship between the tech industry and public sector. He stressed that the best way for innovators and entrepreneurs to interact with government is “engagement, education, and openness.” He is committed to implementing policy that builds a strong and cohesive tech ecosystem as opposed to creating challenges to innovation. Making news, Council Member Garodnick announced he will introduce a bill to extend the biotech tax credit for three years, extending its expiration date to 2019, in support of the City’s thriving biotech sector. The tax credit incentivizes research and innovations in emerging technologies in areas like DNA diagnosis, fingerprinting, and genetic mapping. To learn more about biotech tax credit, click here. When asked about examples of ways that the City has supported innovation, panelists mentioned programs like the NYC BigApps competition, NYC Tech Talent Pipeline, and the Mayor’s Computer Science for All. Jonathan Bowles, the Executive Director of the Center for Urban Future, described how over time, the policies and programs New York has implemented has incentivized growth and retained talent and businesses, making New York the fastest-growing tech hub in the nation. With an 18% growth rate in tech sector jobs over the past ten years, tech in NYC is becoming an increasingly important sector in the city, intersecting with a number of other industries, according to NYCEDC. When looking to the future, Travis told the audience that he was “excited about how unlimited the possibilities are” for tech in NYC. 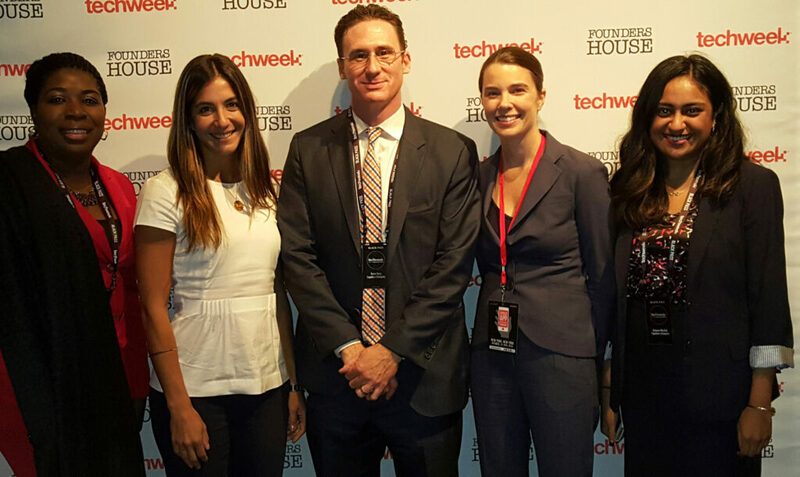 Capalino+Company was proud to sponsor Techweek and share our strategies for working with government to ensure that your business is successful in New York City. If you’re a tech company, entrepreneur, or venture capitalist interested in discussing how you can maximize your relationship with government, please contact our COO Travis Terry.